The spiritual strength of a community is not measured by the number of Christians or the high-ranking positions held in the Church’s hierarchy. The African Church has an important place in the universal Church – not by force of the numbers, but by force of its faithfulness to Christ. The numerical growth of the Church in Africa is a reality of great importance not only for the changes it could mean for the countries in which the growth is taking place, but also for the life of the Church as a whole. Yet, when speaking of a spiritual reality like the “people of God,” the significance of high numbers must be put in proper perspective. A first major danger is to think that numbers can give a simple automatic answer to the shape that the future will hold. A study on the growth of Christianity in the world – The Next Christendom. The Coming of Global Christianity, by Philip Jenkins, published in 2002 – proves, using statistics available at that time, that membership of the Christian Churches experiences a fast growth in Africa and Asia, and that most of new believers tend toward a pentecostal, charismatic and, ultimately, fundamentalist Christianity. Using statistical projections, Jenkins foresees, for the year 2050, a worldwide strong fundamentalist Christianity more ready to enter in confrontation rather that into dialogue with other faiths. The growth, in fact, will happen not so much in the great traditional Churches, like the Catholic, Lutheran or Anglican, but in the constellation of new, free, fast-changing, Christ-centered and socially ultra-conservative and non-socially oriented Churches. It is true that the statistical analysis of social phenomena is important to understand where we are and where we go in the immediate future. Yet, it is highly questionable that, in social and cultural developments, we can project the present trends over such a long period, like Jenkins does. There are changes in society that defy any statistics. For instance, the Arab Spring, with all its ambiguities, was not foreseen by anybody. The transformations it will bring about are not yet clear or may become clear in a generation time, but anybody who had built up a picture of how the Arab world will be in 2050, supposing that the socio-political trends of 2010 would continue for a long time, has done a useless exercise. Similarly, what do we know of the cultural and political movements that will grow in Africa in the near future? Nothing. Will a new perception of human rights change the self-understanding of the African world? Or will the growing influence of the Western materialistic culture cause the collapse of the traditional worldview where God and religion hold an important place? Which trends will become stronger in the future? The elements in the playing field are too many and too unpredictable; nobody in her/his right mind should dare to give an answer as to how Africa will be thirty or more years from now. To read the signs of the time is not an easy exercise. If numbers cannot be the only factor in a foolproof prediction, they are also not very useful in measuring the spiritual strength of a community. When Europe plunged into the horror of the Nazi era and of World War II, it was statistically composed of a Christian majority. But how many Christians stood up against it? A certain number of people belonging to different Churches did; but, we have to admit, they were very few. In the same way, when Rwanda, a country with a Catholic majority, was swept by the genocidal fury of 1994, how many Catholics stood against it in the name of their faith? Some did, sometime in a heroic way, but it was a small percentage. They were able to save other people’s lives, and many sacrificed their own, but they were not enough to be a significant obstacle to the wave of the genocide. Some people justify the Rwanda case saying that Christianity had not yet put deep roots. But how about what happened in Europe, where Christianity had been present for close to two thousand years? Was it a sign of the decline of the European Christianity? The least we can say is that, in both cases, numbers were not a good indicator of the maturity and strength of that particular Church to resist evil. Again, just speaking of “age” or “maturity” of a Church because it has big numbers is controversial. How do you assess maturity? Often, a “young” Church produces people who are ready to die to show their faithfulness to Christ. We have the example of the Uganda Martyrs. Rightly enough, some Africans get upset when their Churches are referred to as “young” because it can give the idea of immaturity and dependency. Or, even when taken in the positive sense of vitality and strength, it can become an empty platitude, just referring to dancing and ululation during liturgical ceremonies. Recently, I heard a missionary carefully comparing African Church leaders with someone who is learning to drive a car. When on the road, he concentrates more on handling the commands – how to change gear, how to turn the wheel, how much force to use in pressing the brakes – than looking at the road ahead. With the comparison, the old missionary wanted to justify, in a kind way, the lack of vision and pastoral planning by his local African bishop. But some African friends were quite annoyed by the comparison. Heated debates also come up when evaluating if the numerical importance of the African Church is properly taken into account at the high level of the Catholic hierarchy. Before the last Consistory, held on February 18, 2012, an African website posted a very bitter comment on the fact that no new African cardinals were appointed. Surely, in the opinion of the writer, there is no lack of Africans deserving the red hat. The writer expressed also his disappointment that, in the last conclave, the African Cardinal Francis Arinze, allegedly missed the papacy… The assumption of the writer was: “We deserve important positions in Rome, because we are many! It is now our turn!” Are these cases of unrealistic expectations? Were there no African cardinals because the available positions were very limited or because the African episcopacy is not able to show forth leaders of a higher caliber? All these questions are pointless. If we think that to have an African pope is a right, or we look with pride at the number of African cardinals working at the Vatican and we think their number should increase, we enter in a logic of power which does not befit the Church. In The Coming of the Third Church, published in 1976, Walter Bühlmann, an unassuming Swiss Capuchin who taught in Rome in the effervescent years after the Vatican Council II, put together his reflections on the growing importance of what then was still mostly referred to as “mission Church”, For the first time, an eminent Western scholar put in a theological framework the scattered aspiration and demands that had already started to emerge from the “Third World” Church and pointedly used the term “Third Church.” “Third World” was already in common use and did not have the negative connotation that took later on, and certainly Bühlmann used “Third Church” in a positive way. His was a text full of hope, welcoming the Third Church, and opened to the changes that the emerging Christian communities were expected to bring to the universal Church. Bühlmann was right; his approach is still valid. Number should not be seen as power, but the African Church must see them as a sign – that it has a responsibility to discover and to fulfill its call inside the universal Church (to become what Saint Daniel Comboni called “the Black Pearl”?) and to strengthen its determination to follow the Gospel of Jesus. 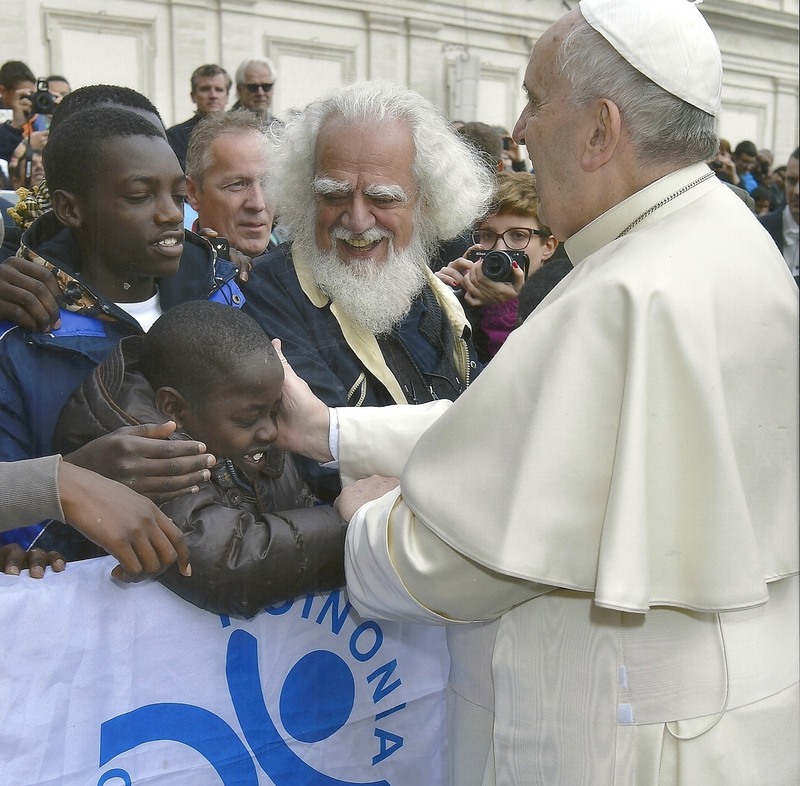 For the whole Catholic Church, the growing numbers of the African Church is a source of joy and an incentive to make room for it, in a spirit of brotherhood and in recognition of the diversity in which Christians can express their common faith. The African Church has its right place in the universal Church not by force of the numbers, but by force of its faithfulness to Christ. We believe that the Spirit of God is always inspiring and creating new things in our midst and we must always be open to the new and unforeseen ways He shows us. The African Church must take stock of her achievements – most of them done in the post-independence era under the guidance of African pastors, thank God for them – and move on, building her own identity. Inculturation, social justice, participation of the laity in the life of the Church are just some of the lines of identity that have emerged during the two African Synods, in 1994 and 2009. These are some of the special gifts the African Church can contribute to the Catholic community worldwide. Numbers are not a big issue. “Do not be afraid, little flock, for it has pleased your Father to give you the kingdom.” (Lk 12:32). In the church the only title of merit is the faithfulness to the Gospel. La forza spirituale di una comunità non si misura col numero dei fedeli cristiani o con le posizioni importanti nella gerachia ecclesiasitca. La Chiesa africana è importante per la Chiesa universale – non in forza dei numeri, ma in forza della sua fedeltà a Cristo. La crescita numerica della Chiesa in Africa è una realtà di grande importanza non solo per i cambiamenti profondi che potrebbe significare per i paesi in cui la crescita si svolge, ma anche per la vita della Chiesa nel suo insieme. Però, quando si parla di una realtà spirituale come il “popolo di Dio” che è la Chiesa, il significato dei numenri deve essere messo in giusta prospettiva. Il pericolo maggiore è quello di pensare che i numeri possano darci indicazioni chiare e quasi automatiche per capire come sarà la chiesa del futuro. Uno studio sulla crescita del cristianesimo nel mondo –The Next Christendom. The Coming of Global Christianity, di Philip Jenkins, pubblicato nel 2002 – dimostra, utilizzando statistiche disponibili in quel momento, che l’adesione alle Chiese cristiane sta vivendo una rapida crescita in Africa e in Asia, e che la maggior parte dei nuovi credenti tendono verso un cristianesimo pentecostale, carismatico e, in ultima analisi, fondamentalista. Utilizzando proiezioni statistiche, Jenkins prevede che nel 2050 il cristianesimo a livello mondiale sarà fortemente fondamentalista, più propenso ad confrontarsi in modo conflittuale con le altre fedi, piuttosto che a dialogare. La crescita numerica, infatti, sempre secondo le proiezioni statistiche eleborate da Jenkins, sarà solo fisiologica per le grandi Chiese tradizionali – Cattolica, Luterana e Anglicana – ma sarà travolgente nella costellazione delle nuove chiese di stampo pentecostale che sono Cristo-centriche ma socialmente conservatrici e politicamente disimpegnate. E ‘vero che l’analisi statistica dei fenomeni sociali è importante per capire dove siamo e dove probabilmente andremo nell’immediato futuro. Tuttavia, è altamente discutibile proiettare le tendenze attuali per un periodo così lungo, come Jenkins fa, in particolare per quanto riguarda cultura, società e religione. Ci sono dei cambiamenti nella società che sfidano tutte le statistiche. Per esempio, la primavera araba, con tutte le sue ambiguità, non è stata prevista da nessuno. Le trasformazioni che sta provocando non sono ancora chiare e magari diventeranno evidenti solo fra una generazione, ma chi aveva costruito un quadro di come il mondo arabo sarà nel 2050, supponendo che le tendenze del 2010 sarebbero continuate per lungo tempo, ha fatto un esercizio in futilità. Allo stesso modo, cosa sappiamo dei movimenti culturali e politici che cresceranno in Africa nel prossimo futuro? Niente. Ci sarà una nuova percezione dei diritti umani che cambiarà l’auto-comprensione del mondo africano? Oppure la crescente influenza della cultura materialistica occidentale causerà il crollo della visione del mondo tradizionale in cui Dio e la religione occupano un posto importante? E le chiese cristiane perderanno il sostegno della spiritualità tradizionale che è una forte preparazione al cristianesimo? Quali trends e correnti di pensiero prevarranno? Gli elementi in gioco sono troppi e troppo imprevedibili, nessuno può neanche con relativa certezza dirci come sarà l’Africa fra trenta o più anni. Leggere i segni dei tempi non è un esercizio facile. Se i numeri non possono essere l’unico fattore per aiutarci a vedere nel futuro, non sono neanche molto utili per misurare la forza spirituale di una comunità. Quando l’Europa fu travolta dall’orrore del nazismo e della seconda guerra mondiale, era statisticamente abitata da una maggioranza cristiana. Ma quanti cristiani furono capaci di resistere a quella follia? Alcuni lo fecero, dando testimoninaza di grande coraggio, ma dobbiamo ammettere che furono pochi. Allo stesso modo, quando il Ruanda, un paese a grande maggioranza cattolica, è stato sconvolto dalla furia genocidaria del 1994, quanti si opposero in nome della loro fede? Alcuni lo hanno fatto, dimostrando eroismo civile e santità cristiana, ma sono stati una piccola percentuale. Hanno salvato vite umane, anche sacrificando la propria e dimostrando adesione totale al Vangelo, ma non furono in numero sufficente a creare un ostacolo capace di fermare l’onda del genocidio. Alcuni giustificano il caso del Ruanda dicendo che il cristianesimo non aveva ancora messo radici profonde. Ma allora come giustificare ciò che è accaduto in Europa, dove il cristianesimo era stato presente per almeno duemila anni? Era un segno del declino del cristianesimo europeo? Il minimo che possiamo dire è che, in entrambi i casi, i numeri non sono stati un buon indicatore della maturità e della forza di quella Chiesa particolare di resistere al male. E’ evidente che parlare di “maturità” di una Chiesa, basandosi sulla forza dei numeri o sul tempo in cui la chiesa è stata presente su un territorio non ha molto significato. Come si valuta la maturità? Spesso, una Chiesa “giovane” genera persone che sono pronte a morire per mostrare la loro fedeltà a Cristo. Abbiamo l’esempio dei Martiri d’Uganda, e molti altri. Giustamente alcuni africani non accettano che le loro chiese siano denominate “giovani” perché può dare l’idea di immaturità e di dipendenza. Oppure lo stesso aggettivo, anche se inteso in senso positivo di vitalità e di forza, può diventare un vuoto luogo comune, che si riferisce solo a danze e ululati tollerati durante le cerimonie liturgiche come si tollerano gli schiamazzi degli adolescenti. Di recente ho sentito un missionario paragonare i leader cristiani africani a un neo-patentato che incomincia a guidare l’automobile: si concentra più sulla gestione dei comandi – come cambiare marcia, come controllare l’auto in curva, quanta forza usare premendo sui freni – che a scegliera la strada e arrivare alla meta. Con questo paragone, il vecchio missionario voleva bonariamente giustificare la mancanza di programmazione pastorale e di visione del suo vescovo africano. Ma alcuni amici africani presenti erano piuttosto infastiditi dal paragone! Accesi dibattiti sorgono anche quando si vuol valutare se l’importanza numerica della Chiesa africana sia adeguatamente rappresentata agli alti livello della gerarchia cattolica. Prima dell’ultimo concistoro, tenutosi il 18 febbraio 2012, un sito web africano, ha pubblicato un commento molto amaro sulla mancanza di africani fra le nuove nomine. Sicuramente, a parere di chi scriveva, non vi è carenza di africani che meritano la berretta cardinalizia. L’autore esprimeva anche il suo disappunto per il fatto che, sempre secondo lui, nell’ultimo conclave il cardinale africano Francis Arinze non sarebbe stato eletto papa, come tutti si aspettavano, solo per ragioni di pregiusdizi anti-africani… Il chiaro sottinteso era: “Ci meritiamo posizioni importanti a Roma, perché siamo in molti! Ora è il nostro turno! “. Aspettative sbagliate? Troppa fiducia nella forza dei numeri? Non sono stati nominati cardinali africani perché i posti disponibili erano pochi o perché l’episcopato africano non ha molti leaders di grande livello? Tutte queste domande sono inutili. Se pensiamo che avere un papa africano sia un diritto di riparazione alle discriminazioni subite in passato, o guardiamo con orgoglio al numero dei cardinali africani che lavorano in Vaticano e pensiamo che il loro numero dovrebbe aumentare, entriamo in una logica di potere che certamente non è quella del Vangelo e che non aiuta la chiesa a spogliarsi della metalità eurocentrica. Continuiamo a ragionare con paramentri sbagliati. In “La Terza Chiesa alle Porte, un’analisi del presente e del futuro ecclesiale”, pubblicato nel 1976, Walter Bühlmann, un cappuccino svizzero che ha insegnato a Roma negli anni effervescenti dopo il Concilio Vaticano II, metteva insieme le sue riflessioni sulla crescente importanza di quella che allora era ancora popolarmente chiamata “Chiesa missionaria.” Per la prima volta, un eminente studioso occidentale (gli africani avevano già cominciato venti anni prima) sistematizzava in un quadro teologico, le nuove tendenze e le aspirazioni che già emergevano dal “Terzo Mondo” e in particolare dall’Africa, e acutamente inventò il termine “Terza Chiesa”. “Terzo Mondo” era già in uso comune e non aveva la connotazione negativa che prese più tardi, e certamente Bühlmann usò “terza chiesa” in modo positivo. Il suo era un testo pieno di speranza, con le braccia tese verso la terza chiesa, e pronto ad accettare i cambiamenti che le comunità cristiane emergenti avrebbero potuto portare alla Chiesa universale. Bühlmann aveva ragione: il suo approccio è ancora valido. I numeri non dovrebbe essere visti come potere, ma la Chiesa africana deve vederli come un segno della sua responsabilità a scoprire e svolgere la sua chiamata all’interno della Chiesa universale, e per rafforzare la sua determinazione a seguire il Vangelo di Gesù. Per tutta la Chiesa cattolica, il crescente numero di cristiani africani è una fonte di gioia e un incentivo a far loro spazio nell’assemblea, in uno spirito di fratellanza e nel riconoscimento delle diverse lingue e culture che possono esprimere la fede comune. La Chiesa africana ha il suo giusto posto nella Chiesa universale, non per la forza dei numeri, ma in forza della sua fedeltà a Cristo, in forza dei doni che porta nella comunione universale. Lo Spirito di Dio crea sempre cose nuove in mezzo a noi, e dobbiamo aprirci a Lui. La Chiesa africana deve fare un bilancio dei suoi successi – soprattutto di quelli recenti, avvenuti dopo gli anni delle indipendenze, con alla guida dei Pastori africani – e andare avanti, costruendo la propria identità. L’inculturazione, la giustizia sociale, la partecipazione dei laici nella vita della Chiesa, sono solo alcune delle linee di identità che sono emerse durante i due Sinodi africani, nel 1994 e nel 2009. Sono questi i doni che la Chiesa africana può portare alla comunità cattolica in tutto il mondo. I numeri non sono la cosa più importante. Gesù parlava di sale, di lievito, di piccolo gregge. “Non temere, piccolo gregge, perché al Padre vostro è piaciuto di darvi il suo regno”. (Lc 12,32). Nella chiesa l’unico titolo di merito dovrebbe essere la fedeltà al Vangelo. Mercoledì 4 agosto i keniani potranno votare in un referendum pro o contro una nuova costituzione. Il processo per la revisione della costituzione è iniziato quasi vent’anni fa, ed è importante che si arrivi ad una migliore distribuzione dei poteri, che nelle presente costituzione sono concentrati nel Presidente. Già nel 2005 c’è stato un referendum e la costituzione proposta non era molto diversa da quella proposta adesso. Ma allora Mwai Kibaki, il Presidente, e Raila Odinga, attuale Primo Ministro, erano ai ferri corti perché Odinga voleva far pagare a Kibaki il non aver mantenuto la promessa di creare il posto di Primo Ministro, pensato solo per lui, dopo le elezioni del 2002. La proposta del 2005 fu bocciata, e i due andarono alle elezioni del 2008 l’un contro l’altro armati, letteralmente, causando la disastrosa violenza post-elettorale, con oltre mille morti documentati. Poi venne elaborata una proposta che prevedeva la presenza di un primo ministro, ed era estremamente farraginosa nel tentare di attribuire le competenze ad un esecutivo diviso in due. Tale era la proposta fino a pochi mesi fa. Poi i due hanno capito che conveniva ad entrambi accordarsi. A Kibaki per lasciare comunque un’eredità storica positiva, visto che non potrà essere rieletto per la terza volta, e a Odinga perché finalmente il sogno della sua vita di diventare Presidente del Kenya sembra a portata di mano, e quindi non gli interessa più una costituzione che preveda la figura del Primo Ministro. Una serie di consultazione frenetiche, più o meno manovrate anche dalla “comunità internazionale”, hanno quindi portato a che i due protagonisti di questa vicenda si accordassero per interposti partiti, a cambiamenti sostanziali, come appunto la cancellazione del posto di Primo Ministro, a quella che ci era stato fatto credere fosse una costituzione frutto di una consultazione popolare. Fra gli elementi nuovi che sono entrati c’è una cauta apertura all’aborto e l’accettazione dei tribunali islamici (Kadhi) da estendere a tutto il territorio del Kenya. Le corti Kadhi nella costituzione vigente erano ammesse solo sulla costa, per una striscia di 30 chilometri, ed erano state pensate al momento dell’indipendenza, come un compromesso, che sarebbe sparito nel tempo, per convincere le popolazione islamiche della costa di far parte del nascente paese. Per aggravare la cosa, all’ultimo momento, nella notte prima che la nuova versione ufficiale della nuova costituzione venisse stampata, qualcuno ha inserito due paroline nel capitolo sui diritti umani che di fatto li limitano se ci fosse in gico la sicurezza nazionale. Investigazioni sono in corso, ma ancora nessun responsabile è stato trovato. Così questa bozza costituzionale che è stata ritoccata da un ignoto tipografo è quella che sarà sottoposta a referendum. I leaders cristiani del Kenya l’altro ieri hanno firmato una dichiarazione (la metto integralmente nella versione inglese di questo stesso post) sottolineando che per molti aspetti la nuova proposta è migliore rispetto alla costituzione vigente, ma chiedendo ai cittadini di votare contro perché la nuova proposta non salvaguardia la sacralità della vita umana, l’educazione morale dai giovani e il principio dell’uguaglianza religiosa. Contemporaneamente invitano alla pace e comunque ad accettare il risultato. Che la posizione dei leader religiosi cristiani, vescovi cattolici inclusi, sia discutibile è fuori di dubbio, ma è pure fuori di dubbio che sarebbe bastato un po di buona volontà da parte di tutti per arrivare ad una proposta costituzionale che avrebbe messo d’accordo almeno il 90 per cento dei keniani. Invece adesso si va al voto col rischio che la nuova costituzione passi, e che passerà mi sembra certo, con un margine di voti poco convincente, intorno al 60 per cento. Che per una nuova carta per cui ci si è battuti per vent’anni non è una gran bella cosa. Un altro elemento causa di grande tensione è la pessima compagnia in cui si ritrovano i leader religiosi: l’ex-Presidente Daniel Arap Moi e William Ruto. Per ragioni diverse da quelle dei leader cristiani, sostanzialmente per evitare che i latifondi di cui si sono impadroniti in passato vengano rimessi in discussione, entrambi sono contrari alla nuova proposta, ma non hanno proprio nessuna credibilità e autorità morale. Si fanno forti solo del supporto della loro etnia. Il primo ha gestito il paese come un dittatore per 24 anni, arraffando tutto ciò che c’era a disposizione, incluso una bella parte dei migliore terreni del Kenya. Inoltre alimentando la corruzione è arrivato a controllare un buon quarto dell’economia del paese. Il secondo è notoriamente fra i principali indiziati come responsabile delle violenze post-elettorali del 2008. La tensione fra i Verdi (il colore assegnato dalla commissione elettorale al Si) e i Rossi (il colore del No) è grande. Ci sono stati già alcuni morti fra le vittime di due bombe rudimentali esplose durante una manifestazione per il No, e un vescovo di un piccola chiesa protestante è stato ucciso sembra in connessione con una sua focosa omelia per il No. Un buon segno per Nairobi è che Kibera, negli ultimi decenni il focolaio di ogni violenza esplosa in città, è tranquilla. Tutti sembrano d’accordo per votare Si. La maggioranza perché Luo sostenitori di Raila, più i Kikuyu sostenitori di Kibaki e i musulmani, i cosiddetti Nuba che hanno fatto delle corti Kadhi una questione di principio. Quindi non ci dovrebbero essere ragioni di conflitto. Kivuli, a Riruta Satellite, sarà sede elettorale. Anche qui non ci aspettiamo problemi, come non ne abbiamo avuti nel 2008, anche se è vero che sia a Kibera come a Riruta o qualsiasi altro quartiere di Nairobi basta che qualcuno paghi 3 euro al giorno ad un centinaio di giovani disperati per innescare il caos. La possibilità di violenza per una vittoria del Si invece è molto concreta nella Rift Valley, che è il feudo di Moi e di Ruto. Chiunque vinca, è inutile illuderci, siamo in un tempo di crisi. La crisi economica internazionale, i cambiamenti sociali; il venir meno della tradizione; le pesanti interferenze degli americani, i quali se sono riusciti a dimostrare qualcosa negli ultimi venti anni è che dell’Africa non capiscono niente, causando, dove sono intervenuti come in Somalia e Congo, solo disastri peggiori di quelli che erano in corso. I keniani sono stanchi e sfiduciati, hanno ascoltato troppe grandi promesse non mantenute, si sentono incapaci di cambiare il loro paese, vittime piuttosto che cittadini partecipi. Sentono dire che sono solo il primo esperimento di un programma americano che intende imporre a tutti i paesi “amici” una costituzione sul modello keniano. In questa situazione c’è il pericolo di seguire sogni e illusioni senza nessuna consistenza, solo perché un leader che sa parlare bene li fa balenare davanti. Gli uomini politici keniani hanno un’abilità straordinaria, mi vien quasi da dire diabolica, a sfruttare le fragilità della loro gente. I piazzisti di sogni vedono un futuro radioso, sopratutto per se stessi. Noi cristiani abbiamo fatto dire a Dio tante cose diverse, e anche noi abbiamo seminato illusioni, quindi dobbiamo essere umili e stare coi piedi in terra, favorendo i migliorami possibili, invece di sognare la perfezione. Io continuo a credere che la desacralizzazione di tutti i poteri, anche quello della chiesa, che ci ha insegnato Gesù e la forza del suo Spirito, ci hanno avviato su una strada di umanizzazione che non possiamo più abbandonare, anche se le tentazioni sono tante. Ci muoviamo verso una creazione nuova, verso una rivoluzione interiore che deve concretizzarsi in lavoro quotidiano per la giustizia a le pace, vita offerta, sangue, storia. Se leggo le dichiarazioni dei politici e dei leader religiosi magari mi cascano le braccia, ma se guardo i ragazzi e le ragazze di Kivuli, Anita’s Home, Tone la Maji, e tutti gli altri allora credo che anche in Kenya sia possibile andare avanti anche dopo il 4 agosto. Here is a joint statement by the Christian leaders in Kenya released today Friday July 30, 2010 on the proposed constitution of Kenya. We greet you in the name of the Risen Lord. We, as shepherds of the flock entrusted to us by Christ to guide the destiny of Our Nation, are gathered here today as Bishops, Pastors, Priests, Reverends in solidarity to pray for our country, to pray for our people and to pray for the future of the nation. We are here to give our spiritual guidance on this historic referendum. We have always been supportive of a new Constitutional order for our country and have worked along and hard to midwife our country through a new constitutional dispensation, right from the start, through to the Ufungamano talks until today. Today, our country is at cross roads. The political leadership seems to be insensitive to the plight and to the needs of its citizens. Blind to the cry of the people to a just, fair and representative constitution that accommodates our diverse cultures and religions. We seem to have sidelined the God’s commandments and His will. We the Christian shepherds in Kenya reiterate our advice to all Kenyans to reject this proposed constitution in its entirety. It s true that there are many positive improvements in the proposed draft, but the good has been mixed with evil sections that affect the moral life and rights of this country in irreversible and fundamental ways. The proposed constitution does not safeguard the sacredness of human life, the sound and moral education of our children and religious equality. We must all ask ourselves; if this document is really as good as its proponents say it is, then why is so much money being spent to popularize it in the name of civic education? If this document is really as good as we are made to believe, why are foreigners pressurizing the country to adopt it? If this document is really that good, hwy has it divided the country down the middle? If this document is really that good, why have innocent Kenyans lost their lives through acts of terrorism and violence in its name? Dear people, you have all witnessed our attempts at reconciliation with the government, our attempts to sit and reason together; to reach a consensus that is acceptable by all, but unfortunately will these efforts have borne no fruit. To the people who are voting NO against the proposed constitution, we pray for you to keep your faith and not to be swayed by money or the extravagant show of might that is currently being displayed by the supporters of the draft. We ask that you pay no attention to opinion poll figures but have faith and believe that we shall prevail with the power of Prayer through Jesus Christ and our conscientious vote. To those that are voting YES, we pray for you that you may see the light, and like the proverbial prodigal son, come back home, where we shall embrace you and celebrate you. To those that are undecided and have been called the ‘watermelons,’ we pray that you may reflect on where Kenya has come from, where Kenya is and where Kenya id going, and search inside your souls that you may find Divine wisdom and reject the proposed constitution. To our Muslim brothers and sisters, let us remember that nothing has ever come in between us before this proposed draft. We yearn for fairness, for equality and for harmony, that we may live together as we always have. We share the same problems, the same dreams and the same aspirations. Inequality to one person is inequality to all people. We pray that you too may join us in rejecting the proposed constitution. To our brothers and sisters across the world, we appreciate your support and your concern for our country. However, we seek from you peace and non-interference in this important event that requires the deep reflection of Kenyans. To the government of Kenya, we pray that you may shoulder the responsibility of leadership through Divine guidance. Keep this country together and united, be a voice of reason and above all, protect the citizens. We the Christian leaders are steadfast in our beliefs. We are neither guided by political gains nor the succession politics of 2012. Political leaders last only for as long as they have been elected while ours is a divine lifetime calling. We shall have to be the ones to shepherd the flock through any turmoil that the current or proposed constitution or negative politics may bring. You have trusted us before, and we call upon you to continue trusting us now as your religious and moral stewards. The proposed constitution in its current form is not good for the country. There will be no cause to celebrate, regardless of whether the proposed draft is accepted or rejected. We shall be left a country divided and shall have to begin- yet gain- the process of healing and reconciliation. We stand together to pray for the country, to be united and to have peace after the referendum. We appeal to all Kenyans, to exercise restraint, love and understanding for one another. Kenyans should not become divided because of the proposed constitution. The 4th of August 2010 will be a day that will be a hallmark in the history of the Republic of Kenya. We call upon each and every Kenyan to turn up in large numbers, to exercise their democratic right to vote, and to display their patriotism for our country and convincingly vote No to this flawed proposed constitution that takes away your sovereignty now and forever, through subjection of International Law. We are all aware that this project begun as a beautiful dream for the whole country, a dream to make this nation a great nation in the eyes of God and of men. We can still realize that dream and should not give up or choose to accept a clearly flawed document with the excuse of fatigue or fear. MAY THE ALMIGHTY GOD BLESS THE PEOPLE OF THE REPUBLIC OF KENYA. MAY WE LIVE IN UNITY PEACE AND LIBERTY. Signed on July 30, 2010, at the Holy Family Minor Basilica, Nairobi. Anni fa, Nigrizia pubblicÃ² un dossier intitolato â€œAiuto, gli aiutiâ€. In poche parole vi si sosteneva la tesi che gli aiuti internazionali fanno piÃ¹ male che bene allâ€™Africa, perchÃ© le modalitÃ con cui vengono distribuiti non sono corrette. Lo scorso anno, ai primi di giugno, mentre ero a Riccione per partecipare ad un seminario organizzato ai margini del Premio Ilaria Alpi, venni intervistato brevemente da un amico giornalista, Dellaâ€™intervista, pubblicata da Il Redattore Sociale, il quotidiano La Repubblica riprese solo una frase, che pubblicÃ² virgolettata e in grande evidenza per rinforzare il messaggio di un articolo. Era qualcosa del tipo â€œMolte ONG usano gli aiuti allâ€™ Africa per aiutare se stesse. Padre Kizitoâ€. Lo penso ancora. Dopo quella citazione ricevetti tre email da amici che lavorano in diverse ONG dicendomi che trovavano quella citazione infelice. Risposi che, conoscendoli, so che loro e le loro ONG lavorano con serietÃ , ma che bisogna pur dire che per una buona maggioranza le cose non sono cosi. La mia non era una condanna indiscriminata, avevo detto â€œmolteâ€, avrei anche potuto dire â€œuna buona maggioranzaâ€, ma non ho detto â€œtutteâ€. Avevo anche detto al giornalista che il mio personale parere ed esperienza eâ€™ che quando si tratta di aiuti allo sviluppo â€œpiccolo eâ€™ belloâ€, perchÃ© le ONG piccole lavorano spesso con tanti volontari veri, non pagati, hanno motivazioni piÃ¹ genuine, lavorano in vero contatto con le persone locali e raggiungono risultati migliori. Io ho contribuito a creare almeno una ONG e due ONLUS in Italia, e almeno quattro ONG in paesi africani, e quindi ben so che possono essere ottimi strumenti per intervenire efficacemente in favore di chi ha bisogno, sia con aiuti di emergenza che per la promozione umana e educazione ai diritti. A conferma del lato negativo del lavoro delle ONG ricevetti anche cinque email. Le rappresentava tutte una lunga e dettagliata lettera di una persona che dopo aver lavorato per un totale di 12 anni in due diverse grosse ONG aveva deciso di cambiar completamente lavoro proprio pochi mesi prima perchÃ© disgustato dalla lotta senza esclusione di colpi per assicurarsi i finanziamenti del nostro Ministero degli Esteri o della Comunitaâ€™ Europea, dallâ€™inefficienza, dalla corruzione, dal fatto che trovare i finanziamenti e rendicontare i progetti diventa piÃ¹ importante che farli bene e far crescere la gente locale. Eâ€™ comprensibile come sia quasi inevitabile, se non câ€™eâ€™ unâ€™altissimo livello di motivazione, che ad un certo punto dellâ€™ evoluzione di una ONG la presenza di professionisti ben retribuiti faccia si che il motivo dellâ€™esistenza della stessa non sia piÃ¹â€™ quello che fare progetti al servizio dei poveri, ma di ottenere finanziamenti per garantire la continuitÃ dell’impiego. Mentre invece funzionano gli aiuti che passano attraverso piccoli canali, dove la gente si incontra aldi la’ di tutti i tipi di divisioni, e dove la dignitÃ â€™ delle persone eâ€™ rispettata. . Penso alle iniziative di tante piccole ONG che hanno cosi di gestione quasi zero, ai gemellaggi fra scuole e associazioni e parrocchie e diocesi e magari anche squadre sportive, alla cooperazione decentrata fatta da comuni, provincie e regioni. Situazioni dove i volontari si pagano il biglietto aereo di tasca loro e, magari facendo errori, comunque meno gravi e meno costosi di quelli fatti dalle grandi ONG, si coivolgono in prima persona. Fortunatamente queste piccole iniziative sono molte e anche se non cambieranno la faccia dellâ€™Africa, almeno ognuna di loro ridaâ€™ forza e speranza a qualche centinaio di persone. E non eâ€™ cosa da poco, se confrontata col quadro fallimentare degli aiuti istituzionali. Ho ritrovato tutto questo in unâ€™intervista a Dambisa Moyo pubblicata lo scorso lunedÃ¬ su La Repubblica. Il titolo eâ€™ â€œDambisa Moyo denuncia: gli aiuti salvano i dittatori e condannano lâ€™Africaâ€ La Moyo, zambiana quarantenne, economista che ha lavorato alla Banca Mondiale, e che lo scorso 11 maggio il Time ha inserito fra le cento persone piÃ¹â€™ influenti del mondo, ha pubblicato un libro intitolato Dead Aid â€“ che potremmo tradurre con Aiuti Mortali â€“ in cui espone come le modalitÃ â€™ degli aiuti siano sbagliate, ma mi pare, almeno dallâ€™ intervista perchÃ©â€™ il libro non credo sia disponibile in Italia, che salvi proprio gli aiuti piccoli e mirati, che non passano attraverso i grandi canali istituzionali. Mentre gli aiuti diretti da governo a governo, dice, sono â€œdiventati un immenso business dove ci guadagnano tutti tranne lâ€™Africa: le â€˜benemeriteâ€™ fondazioni americane, le multinazionali alimentari, le organizzazioni non governativeâ€. Allego qui sotto lâ€™intervista scansionata.